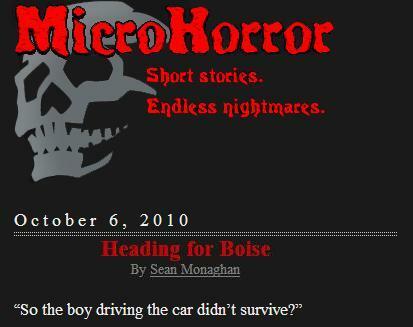 My flash story Courtney, Reanimated has just been published on the MicroHorror site. Striving for a mix of atmosphere and action here, with a little bit of character as well. I hope it succeeds. 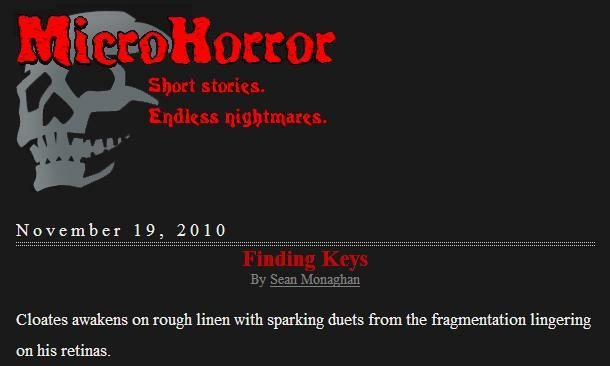 This entry was posted in fiction and tagged flash fiction, horror fiction, microhorror on 3 May, 2010 by Sean Monaghan.